Many dog parents often ask, “Why is trimming my dog’s nails important?” While regular nail trims keep your dog’s paws looking great, there are also many health benefits from routine nail grooming. While a dog’s nails will naturally wear down from walking, running, and playing outdoors, they still need to be maintained regularly. For some, trimming their pup’s nails is quite an undertaking. Not only can be hard to get them to sit still, but it’s also easy to trim their nails too short. What’s more, there are plenty of different methods for trimming your dog’s nails, which can make it challenging to know which is best to use. 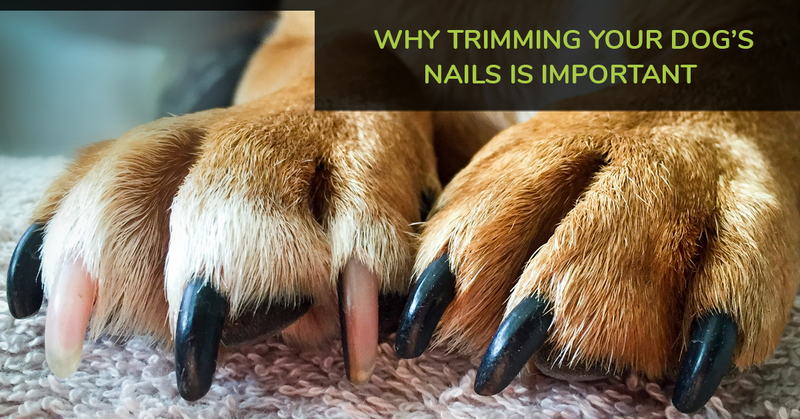 In today’s post, let’s take a look at the importance of grooming your dog’s nails. Next time your dog needs a nail trimming, call The Dog Pawlour for a Top Rated Local® dog grooming in Greeley! Please read on to learn more. Trimming your pup’s nails regularly will help ensure they are comfortable. When nails get too long, they can curl under making it painful to walk, run, and play. Your dog must then adapt to the discomfort, which means they may walk or move differently, which can cause them discomfort in their arms, legs, hips, and back. Regularly grooming your dog’s nails helps ensure healthy hand and foot structure. As we just mentioned, overgrown nails can cause them to walk awkwardly, but overgrown nails can also affect the bones, muscles, joints, and other tissues in their hands and feet. The last thing you want is for your dog to suffer an injury as a result of overgrown nails. Overgrown nails can make it painful to walk and run, which can lead to an injury. What’s more, if overgrown nails go unaddressed, this can lead to more serious injuries in their bones, muscles, ligaments, tendons, and joints, which may become a long-term problem. At The Dog Pawlour, we are always happy to trim your dog’s nails for you, which is often easier on both you and your furry friend. If you would prefer to leave this dog grooming task to the pros, call or click to schedule a dog grooming in Greeley, or we can happily trim their nails if you don’t need a full grooming. Prefer to use our self dog wash stations? You can add-on a nail trimming to any self-service dog wash! Book a visit and experience The DP Difference today!